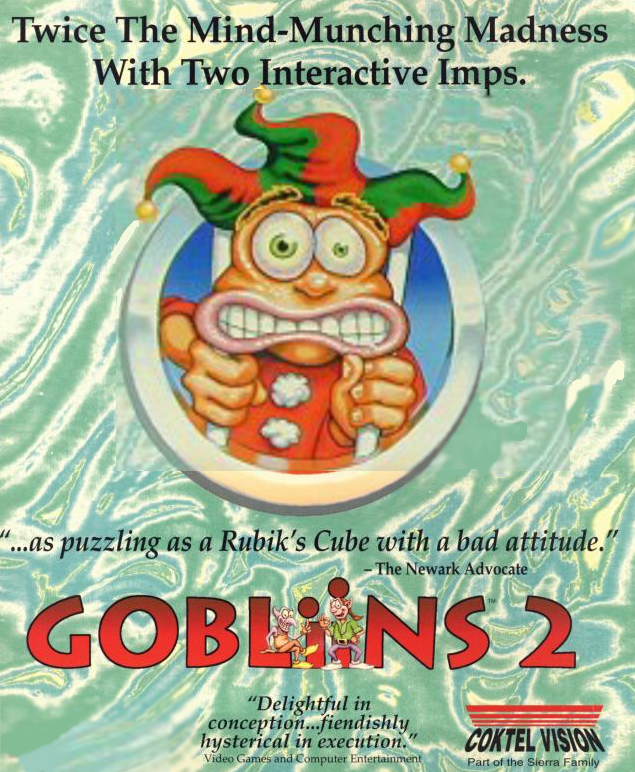 Gobliins 2: The Prince Bafoon is the second game in the Gobliiins series. 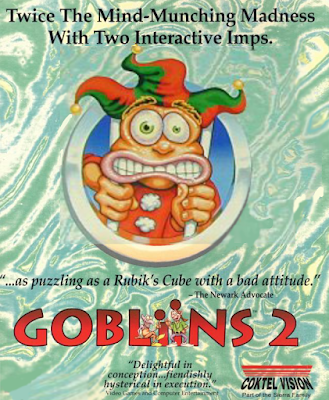 This game removes the time limit of the previous game and reduces the amount of goblins to control to two. Someone has kidnapped the prince, and it's up to two goblins, Winkle and Fingus, to rescue him. Gobliins 2 is now supported by ScummVM, a program designed to let 2D adventure games run on multiple platforms. With ScummVM, Gobliins 2 now runs on modern versions of windows, as well as Linux, Mac OS X, and many consoles such as Dreamcast, Wii, PlayStation 2, and PlayStation Portable. For a complete list of platforms supported by ScummVM, see here.